When your looking to go where most conventional ATV and other Side by Side Utility Rentals cannot go then the Argo 8×8 Amphibious Vehicle is for you. You know what they say, use the right tool for that job. The Argo 8×8 is a true 8 wheel drive amphibious all terrain, all wheel drive vehicle that is capable of taking you and five others, or up to 800 lbs of equipment into normally inaccessible areas. The Argo Avenger is very environmentally friendly leaving the smallest amount of environmental damage compared to any other all-terrain vehicle while using the 18″ Rubber Tracks for added floatation. The Argo is the perfect machine to get you to the remote area’s that no one else can go. This makes it the perfect necessity for any kind of hunting or exploration work. 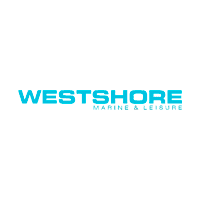 Westshore Marine & Leisure is the highest rated Argo Rental and sales outlet in Central Canada we are located north of Winnipeg, Manitoba. We know time is valuable when out on the job that is why we only use newer Argo’s, so they are always under warranty and fresh. That way you don’t get any avoidable downtime and get in to get the job done quickly and on schedule. Click Below For Our Current Argo Rental Rates!